Nirenstein, Horowitz & Associates provides representation to clients who are going through the probate process. We can help you if you have been named as the executor of an estate and you want to ensure you are fulfilling your obligations and facilitating the timely transfer of assets. We can also provide representation to heirs or beneficiaries who are going through the probate process as well as to clients who wish to contest a will because they do not believe the last will and testament being presented for probate is a true reflection of the wishes of the deceased. Going through the probate process after a loved one’s death can be very complicated and difficult, especially during a time of grief for you and your family. Our compassionate and knowledgeable legal team aims to make the process as easy, quick, and cost effective as possible so the affairs of the estate can be wound up in a timely manner and you can move on. You should give us a call to get personalized help. You can also make use of some of the resources our Glastonbury probate lawyers have compiled to help you get a better idea of how the probate process works and what to expect after the death of your family member. One of the first things you’ll need to be aware of after a death is which probate court is the appropriate court in which to initiate the probate process. The court with jurisdiction over the estate is the court located in the county where property was owned. If the deceased owned multiple properties in different locations, it may become necessary for multiple probate processes to take place. 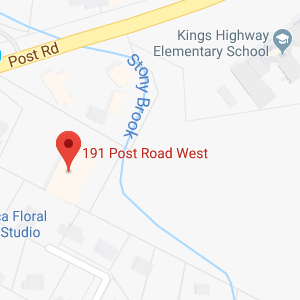 For those in Glastonbury, Connecticut, the probate court where proceedings will take place is the Glastonbury probate court. The address for this court is 2143 Main Street, P.O. Box 6523, Glastonbury, CT 06033. The telephone number is 860-652-7279 and the fax number is 860-368-2520. Court hours are Monday through Friday 8:30 AM until 4:30 PM. On Tuesday nights, the court is open until late and has hours until 7:00 PM. The website of the State of Connecticut Judicial Branch: You can follow the link from the probate court’s website to visit the general website of the judicial branch for the state of Connecticut. There, you can find tips on practical skills and resources for drafting court motions; a case lookup form; a Frequently Asked Questions page, a court directory, a law library, and information for people with limited English proficiency. The general website of Connecticut’s probate courts: This website provides information on what probate courts do in Connecticut, as well as details on mediation programs, court locations, forms, rules of procedure, and candidates for probate court judges. Probate forms: Here, you can obtain all of the different forms that you will need during the probate process. There is a very long list of forms on the website and it is imperative that you select the proper forms and complete all paperwork correctly and in full. A Glastonbury probate attorney can assist you in determining what forms you require for your probate process and can help you to take proactive steps to complete your court paperwork properly so you can move the probate proceedings forward without any undue delays. Some of the many forms you may need for proceedings in probate court include the petition for probate or administration of a will (Form PC-201); petition to access a safe deposit box to open a will (Form PC-203); and an Affidavit for Filing Will Not Submitted for Probate (PC-211). Probate courts do not just handle the process of transferring assets and winding up the affairs of an estate after death. A probate court will also preside over guardianship and conservatorship hearings in case someone has become incapacitated and a guardian needs to be appointed to manage that person’s affairs. 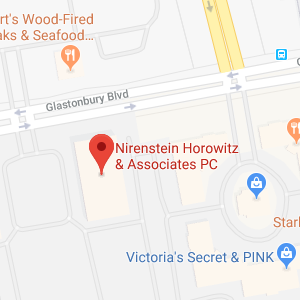 Nirenstein, Horowitz & Associates can provide representation in all legal matters before the probate court. Chapter 801a of the Connecticut code explains probate courts, the jurisdictions of probate courts and the powers that probate courts have. You can find out about the probate court’s power to issue court orders for relevant medical information to be delivered; the court’s power to transfer or dismiss a petition; and more. The Estates and Probate section of the Connecticut Bar Association provides information regarding laws in the state of Connecticut related to wills, trusts, estates, guardianship, property interests of spouses, powers of attorney, transfers of property after death, and living wills. The 2017 instructions for estate and gift taxes in Connecticut: These instructions offer details on when and how estate taxes and gift taxes must be paid. Larger estates and valuable gifts could potentially trigger taxes on both the federal level as well as within the state of Connecticut. Nirenstein, Horowitz & Associates has provided help to many Glastonbury residents going through the probate process. Our legal team will closely work with you to ensure that the process of probating a will goes smoothly or to help you through guardianship and conservatorship proceedings. We know how emotional it is when your loved one is sick or has passed away, and our compassionate and knowledgeable legal team will aim to handle the technical legal details on your behalf to make the probate process as simple and straightforward as it can be. To find out more about the services our legal team can provide to you if you are going to probate court, join us for a free seminar. If you have a probate court matter you need help with, give us a call at 860-548-1000 or contact us online today.